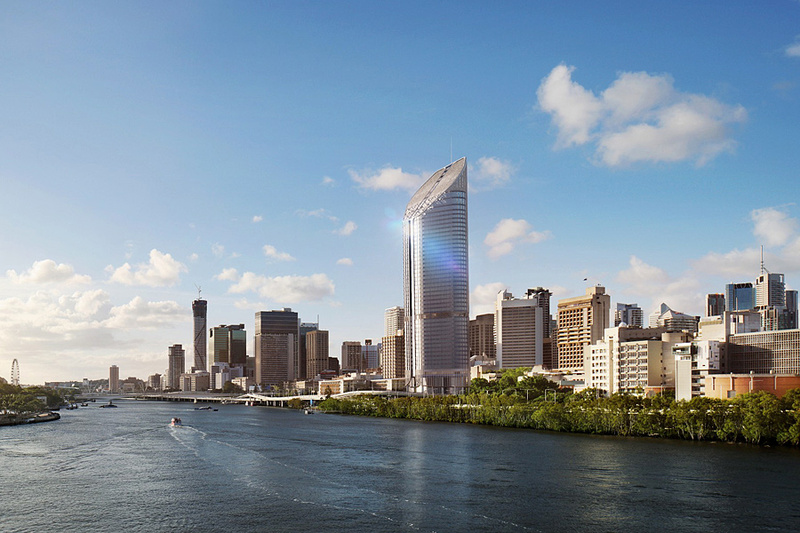 The new commercial office tower, which will accommodate the Queensland Public Service, provides a symbol of Queensland’s strong sense of purpose, identity and confidence in its future. The form of the tower is angled away from the Brisbane CBD so it sits sensitively within the immediate CBD context but also looks outwards to the interior of Queensland sending a strong message of inclusion and an ethic of an open public service. Contracted to supply blinds for the project, KWA Blinds specified Vertilux roller blinds in Euroscreen Non-metallised and Eurobloc fabrics. “Our vision for 1 William Street is that it should be emblematic on the Brisbane city skyline,” says Mark Damant, Principal in Woods Bagot’s Brisbane studio. “As an organic fluid form, the tower will also be inclusive to the state and will sensitively mediate the rich environmental, architectural and social heritage of the site and the city,” says Damant. Providing a unique destination, the site is ordered into eight ‘platforms’ of public engagement. Each platform has a unique design quality: an urban retail laneway, intimate sub-tropical botanical spaces, a formalised entry space off William Street. The roof is splayed, creating a striking visual profile, while roof terracing will include landscaping elements. Inside, an exceptional workplace encouraging transparency, accessibility, flexibility, integration and collaboration will be built around a unique central core that allows extraordinary daylight and views in at 360 degrees. At ground level, the building is lifted so that the building appears to float over a dynamic network of pedestrian and view corridors that will connect the site to its surroundings. The project presents a major opportunity to reintegrate an undervalued section of the river foreshore back into the physical and social fabric of Brisbane City.